One of the key speakers at the inaugural Liberty Vuka Knowledge Summit, taking place at the Sandton Convention Centre on November 1 & 2 is Annette Muller, founder of Flexy, a powerful new online platform that helps companies to work with an on-demand workforce from all over the world. 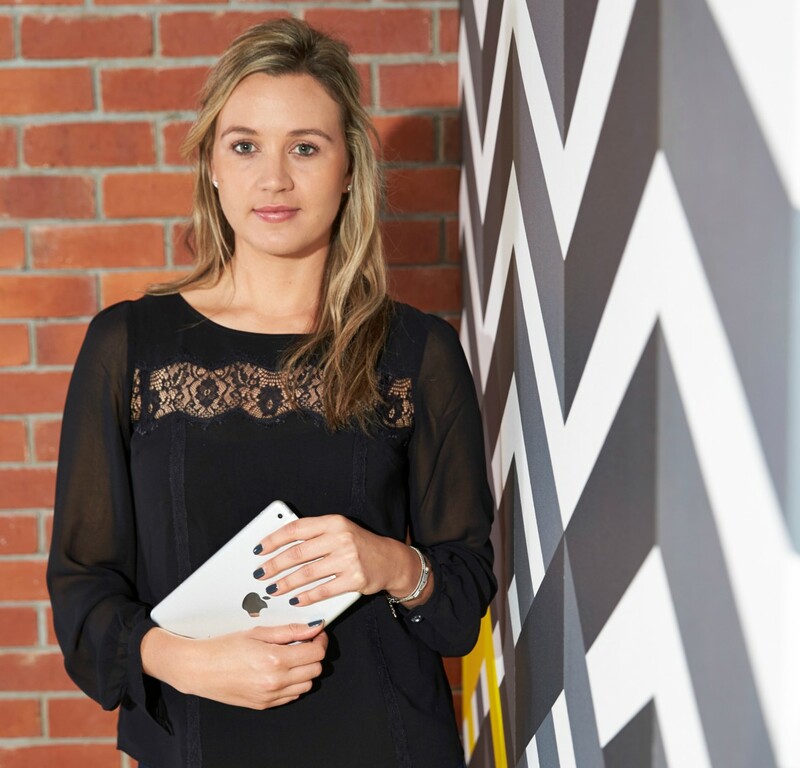 Muller previously founded DOTNXT, one of South Africa’s first innovation consultancy’s (recently sold to an international firm), has been recognised by Forbes (2014) as one of the “top 10 female tech founders to watch In Africa." The Summit, with the theme, Awaken Your Curiosity, features an impressive array of speakers including US mogul and entrepreneur Russell Simmons; Nobel Prize-winner Wole Soyinka; founder of Black Girls Code Kimberly Bryant, who has been listed as one of the "25 Most Influential African-Americans In Technology"; CEO of Moving Brands Inc. Mat Heinl and What’s Your Moonshot? trend and innovation strategist, John Sanei. What will you be talking about at the VUKA Knowledge summit? The future of work! It is my life’s passion to feed my own curiosity about what lies behind the next corner for us humans, and how we will spend our time and work together in the future. What do you hope the audience will take away from it? Inspiration and a new knowledge that we all have a choice. That we can choose to work when we want, on what and with whom we want. And that it is our responsibility to develop our own talents and skills and add value to the world. Looking at the notion of knowledge and curiosity, what is the relevance for business? As we are witnessing the exponential growth of technology changing businesses, our humanity, our intuition, creativity, curiosity and the constant search for knowledge is what sets us apart. It should be on every businesses’ priority list to cultivate and select people who are curious and equip themselves with knowledge. What is the biggest lesson you have learnt in business? That profit, process and any tangible assets can bounce back; that it can be rebuilt and made again. But relationships can be broken forever. And, of course, perseverance. Nothing in business will work out according to your ideal plan, so remaining patient and consistently working hard is what brings the magic. Have you always learnt from your failures? More so than I ever anticipated. Without the failures, I would not be anywhere. You started and sold one hugely successful company. Was it easier starting a company the second time around? Yes, it is definitely easier when you are able to anticipate better about what is coming around the corner, and being able to recognise certain challenges faster. But starting any new business is always difficult. However, it is my favourite thing in the world - seeing a new business being born and slowly coming together. I love it. What advice would you give to entrepreneurs or those looking to start their own business? Business is like gardening; it is just another form of being human on planet Earth right now. Something us humans do all over the world, every day. You can help with someone else’s garden, visit one and enjoy it for a while, or start one. And then you must know, that with it comes great responsibility to nurture it every day, keep it alive, sometimes even end it, but with that comes all the joy in the world - as you get to sit in it and watch it grow every day! What makes for a good boss/manager? I am still trying to figure that out. Someone once told me, it is the ability to really place yourself in your team member’s shoes; adapt your communication, delegation and motivation, so that you can hold a space for each person individually to do their best work. So I guess the ability to constantly adapt to so many different kinds of people, provide the space they need and never lose your patience doing so. Definitely not an easy task and something I am still learning more and more about every day. I think my greatest strength in life is my imagination. It allows me to create things from scratch, solve complex problems, absorb massive amounts of data and take every situation and focus on the silver lining. I create the reality I want to experience in this life. What advice do you have for this year’s graduates? To enjoy your life! To make friends, and be fit and healthy, to travel, spend time in nature and see the world, to get exposure to different businesses, cultures and technologies. To not do things because people say so, but to be creative and add value to the world. We have so many problems around us, and we need more people to get up in the morning and use their youthful untainted spirits and energy to change the things that are not working around us. Regarding the Millennial Generation: what are they doing right when it comes to their careers? Is there really a right and wrong when it comes to careers? Of course, there are the obvious mistakes, but what we do for our “careers” is impacted by so many different variables around us, economics, politics, war. One thing I have however observed is that they are more confident and less afraid to go off the beaten track, that they aspire less to the rat race and value their choice for the kind of life they want to live, a little more than perhaps generations before. Maybe not showing enough empathy and understanding for the generations before them, coming with change is good, but there has to be a level of both respect and understanding for where things have come from, to truly impact where it is going. We spend so much time at work, most of our lives in fact, that the economic turmoil we are experiencing in the world at large, is perhaps the greatest gift to us humans. It will force us to look a little more inwardly, and think about what we would do if we couldn’t work, or really had a choice. And then realising, that we can do exactly that, that every day we choose how we spend our time. Tickets for the Liberty VUKA Knowledge summit are available from www.ticketpro.co.za. You can follow Annette on Twitter and Instagram. Follow Vuka Summit on Facebook, Twitter and Instagram.